Stanford Federal Credit Union is a not-for-profit cooperative that was founded in 1959 by a group of Stanford employees to cater for their banking needs. The bank has grown tremendously over the years and there are now over 55,000 members with assets worth $1.9 billion. SFCU services the staff, students, volunteers and alumni of Stanford University. 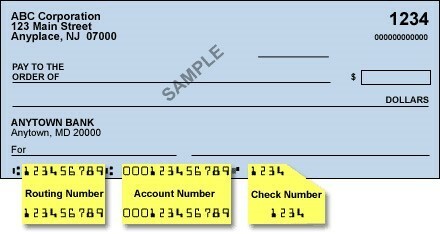 For successful wire transfers and other automated transfers in the US, Federal Reserve Banks use routing numbers to uniquely identify each bank. Stanford Federal Credit Union account holders can receive any domestic or international wire transfers after giving Stanford Federal Credit Union’s routing number to the sending financial institution. Stanford Federal Credit Union’s routing number is 321177722. Members with checking accounts can obtain Stanford Federal Credit Union’s routing number imprinted at the bottom of the check. To know where you can obtain it, consider the dummy check shown below that highlights where you can find it on the check. Successful wire transfers in the US require the use of routing number or Swift code depending on where the funds are coming from or are sent to. Domestic wire transfers in the US require the use of routing numbers, while incoming international wire transfers require the recipient bank swift code. Stanford Federal Credit Union charges a fee for every incoming and outgoing wire transfers regardless of whether the transfers are international or domestic. International Wire Transfers – $0 for each incoming transaction and $20 for each outgoing transaction. Domestic Wire Transfers – $0 for each incoming transaction and $10 for each outgoing transaction.